Search: Text Analytics, Faceted or Federated? When I speak to clients about searching, they generally think of the type of text search methods we use every day when using search engines on the Internet, looking for e-mails within our e-mail client or trying to find a file on our hard-drive. The techniques that help drive these types of searches generally fall under what is termed text analytics. Once a query is specified, software routines trawl through the text to provide a response to the query. 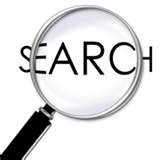 For organizations wanting to find their internal assets, this search may be least effective unless assets are organized for findabiity. Most of us are familiar with faceted search which enables us to further filter search results through existing metadata criteria that have been indexed specifically to help users narrow the result set. Faceted search is commonly used by e-commerce retail websites to enable customers to view a series of product categories, brands and product characteristics to quickly and intuitively find the item they would like to buy. DAM/DM systems can also utilize this same technique to help end-users more easily locate the digital assets they need. As organizations continue to try to tie together their many silos of digital assets into a cohesive strategy, the need to query more than one repository to locate the assets becomes more important. This is called federated search. The objective of federated search is to enable one to query these multiple and independently managed data systems and present a unified result set to the end-user. There are challenges with federated search as the powerful searching capabilities of search in one silo may be compromised in order to search across many silos. What search strategies and tools does your organization utilize? Which do you prefer?